Dr. Gold is an ophthalmologist in Long Island, NY, who offers comprehensive treatments to patients in the greater New York City area. He grew up in Brooklyn, New York and then attended Stuyvesant High School in Manhattan. He earned his Bachelor of Arts degree in Biological Sciences from the State University of New York at Binghamton, and his medical degree from the New York State Program at the Sackler School of Medicine at Tel Aviv University in Israel. He returned to Brooklyn and continued his training with an Internship in Pediatrics at Brookdale Hospital Medical Center. Dr. Gold then completed his Residency in 1988, serving as the Chief Resident in Ophthalmology at the Kings CountyâDownstate Medical Center. Dr. Gold has been in private practice as a comprehensive ophthalmologist since that time, initially in Fresh Meadows and then in Little Neck, Queens. He is a Surgical Attending with the Northwell Health System (previously known as North Shore- LIJ) and performs cataract surgery at the Eye Center in Syosset and at the Surgicenter in Garden City. Laser surgery for the correction of âafter-cataractsâ and for the preventative treatment of glaucoma are performed in the office. 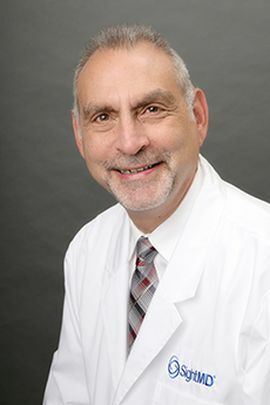 Dr. Gold also serves as a Clinical Instructor for the Northwell Health Ophthalmology Residency Program, from which he has received numerous Teacher of the Year Awards. Besides his work with the residents in the clinic, he assists and instructs them in the operating room as they begin their surgical training. As a board certified ophthalmologist, he is a Diplomate of the American Academy of Ophthalmology as well as a member of the New York State Ophthalmological Society. He is very excited to join SightMD and its excellent team of physicians and staff members. SightMD provides its patients with access to some of the best ophthalmologists in the metropolitan area as well as the most modern and advanced technology. Its insistence on caring for its patients in the most complete and compassionate manner is absolutely consistent with the personal attention Michael Gold, M.D. provides to each and every one of his patients. It is his guiding principle never to dismiss a patient until all concerns have been addressed and all questions have been answered. He is in frequent communication with the patientsâ primary care physicians to ensure that status updates are provided and that there are no gaps in their care.